 “Solidarity – Conspiracy Manager” – a new social and educational videogame, was presented during the second day of XIII World Summit of Nobel Peace Laureates. Game is coproduced by: Gudejko Studio, National Audiovisual Institute and one2tribe. “Solidarity – Conspiracy Manager” is a social and educational game, which is a time travel to a period of social and political changes of 80’s in Poland. This game tells the story of the Solidarity movement and shows the conspiracy times, which led to the Round Table negotiations and change of the political system. The plot of the game takes place in a fictional city which is an essence of Polish cities from the 80’s. Main goal is to build a web of conspiracy in workplaces – starting from the shipyards, factories, through offices to national farms. The main character, thanks to the secret activity, gains social popularity for a Solidarity movement in particular districts – one after another. It forces the authorities to surrender and start the negotiations. The player needs to struggle with authorities’ agents, who wants to exterminate the web of conspiracy. He also faces lack of primary supplies that was common during socialism period in Poland. “Solidarity – Conspiracy Manager” is a 3D browser free2play game that is based on a Unity 3D engine. Thanks to its attractive graphics and visual effects the game may attract those who witnessed the event of the 1980’s and younger generations. The National Audiovisual Institute (NInA) is a national cultural institution established in order to digitalize, share, and promote Polish audiovisual heritage. The mission of NInA is collecting, archiving, reconstruction, and sharing the most valuable forms of film, music, and drama culture. The Institute initiates and supports festivals, concerts, conferences, and exhibitions, co-operating with both recognized and alternative domestic and foreign artists. It records valuable Polish culture phenomena, publishes many unique DVD series (including Blu-Ray and 3D), and CDs presenting outstanding Polish animated films and documentaries, as well as recent works by contemporary composers and theatre and opera directors. NInA implements projects using the Internet capabilities addressed to a wide audience, such as: www.ninateka.pl and www.biweekly.pl. one2tribe is a development studio which turns joy, commitment and a power of communication that comes from games into a value for its customers. We specialize in innovations that are developed on the border of technology and humanity. We are the most effective in areas where virtual worlds collide with real ones. In places where the human touch is turned into information and eyesight makes possible to reach outside the real world. Where thoughts of a single people are turning into tribes.